Xerox Phaser 3250 The Xerox Phaser 3250 provides big business-ready productivity in a small package. Fast print speed, a 400 MHz processor, standard two-sided printing, and optional network connectivity make the Phaser 3250 an ideal fit for a single user or small workgroup that requires fast, reliable printing. Recommended monthly print volume: up to 4,000 pages. Xerox Phaser 3610 Produce professional-looking documents quickly with the Xerox Phaser 3610 monochrome laser printer. You’ll get best-in-class speed, expanded capabilities and crisp print quality for your busy office. Recommended monthly print volume: up to 12,000 pages. MS310 and MS410 Series The Lexmark MS310/410 Series deliver performance, security, and usability to meet the needs of both small business and enterprise small workgroups. Recommended monthly print volume: 500 to 7,200 pages. Lexmark MS710 Series A state-of-the-art picking and handling system takes the uncertainty out of printing on vinyl and narrow media. With flexible options and impressive capacity, the Lexmark MS710 Series keeps your business moving. Recommended monthly print volume: 3,000 to 50,000 pages. HP LaserJet Pro 1102w Print from virtually anywhere in your home or office with wireless networking.1 Share among several users and print at up to 19 ppm letter without additional cables or wires. Instant-on Technology starts and finishes printing sooner.requires fast, reliable printing. Recommended monthly print volume: up to 1,500 pages. HP LaserJet Pro 400 Series LaserJet Pro 400 series is ideal for a small-to-medium workgroup. It comes in different models that combines different features including wireless printing. Recommended monthly print volume: up to 3,000 pages. HP LaserJet Enterprise P3015 Series HP LaserJet P3015 series is ideal for medium-to-large volume printing needs. This model is one of the most popular printer in the SMB market. Recommended monthly print volume: up to 5,000 pages. HP LaserJet Enterprise 600 Series LaserJet Enterprise 600 printers keep your workflow moving with fast output and precision paper handling. High-capacity paper trays, plus options to add more, give capacity of up to 3,600 sheets.1 Manage print jobs from the color control panel and print directly from a flash drive. Recommended monthly print volume: up to 12,000, 15,000, or 20,000 pages for M601, M602, M603 series respectively. (11 x 17) Boost your productivity and potential with fast, black-and-white A3 printing and paper handling up to 4,600 sheets.1 Expand your workteam's options with two-sided printing nearly to the edge of the page. Recommended monthly print volume: up to 20,000 pages..
(11 x 17) LaserJet M806 printers are high-speed A3 printers that can have input capacity up 4,600-sheet. This series is ideal for high-volume printing office environment that need to print on 11x17 media occasionally or daily basis. Recommended monthly print volume: up to 50,000 pages..
HP LaserJet Pro M127 Series This an ideal MFP for a single user or workgroup with low-volume printing.. Recommended monthly print volume up to 2,000-pages. HP LaserJet Pro M1536dn MFP HP LaserJet Pro M1536dn is ideal for a small office or workgroup. 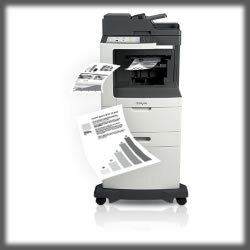 You can print, copy, scan and fax as well as use HP ePrint to connect with the web. Recommended monthly print volume up to 2,000-pages. HP LaserJet Pro 400 MFP M425dn HP LaserJet Pro M425dn is ideal for a small office or workgroup. You can print, copy, scan and fax as well as use HP ePrint to connect with the web. Recommended monthly print volume up to 6,000-pages.